Butterfly safety razors give superior shave than other types of razors. I’ve tried disposable razors, cartridge razors, straight razors and electric razors. None of them gave me that perfect shave I want like butterfly safety razors. You can also call it safety razors. They are much safer to use. You won’t get cuts. And they give you perfect shave. Safety razors are the ideal choice for both men and women. They are great for people with sensitive skin. And despite the fact that they give you a better shave, they are also affordable. Safety razors are the excellent choice for all skin types. After using lots of safety razors in the past years and reaching out to my friends who use different types of razors, I decided to write a review for the five best butterfly safety razors. No other razors in the market today come close to the safety razors you’ll learn about in this review. So, let’s talk about the five best butterfly razors today. The new anti-misalignment feature in this safety razor is one of the things I like most about it. It makes it a real safety razor. The razor won’t close if the blade isn’t well aligned from a 90-degree holding angle. Vikings Blade introduced this feature to help users of the razor prevent unwanted cuts. The newer version of this razor, which is the blade I’m recommending here is 20% heavier, 80% smoother and 150% easier to shave with it than the old version. And note that the old version is no longer on sale. You may want to ask me why the new version of the blade is heavier than the old version. The reason is that a lot more thought and safety features were added to this one. High-end materials were also used to make the new Chieftain Razor. Most safety razors out there are made with cheap materials and are mass-produced. When you buy this safety razor, you’ll be getting a product that gives you an excellent shave you won’t get from many razors available today. The Chieftain Razor has a top-notch butterfly head that makes it easy to change the blade in 5 seconds. You’ll get a high-quality leather case when you buy. A mirror is added to the case to make the razor the perfect choice for nomads. Wow, I love the premium Swedish super blades that come with this razor. They make the razor looks so appealing. I don’t just like the blades because of their beauty. I like them because they are almost unbeatable. I’ve not seen blades deliver perfect shaves as they do. The razor impressed me hugely the first time I shaved with it. I decided to learn more about the Vikings Blade brand and discovered that it is a small family boutique located in Australia. I was further amazed that their shaving products are patented and exclusively made from high-end materials from Europe. For me, The Chieftain Razor from the company is the best butterfly safety razor. No other razor comes close to the quality of shave and feels you get after using this butterfly razor. Well, the razor gives me everything I want. But there’s a common issue people have with it. It’s not the perfect choice for people with thick, fast growing beard. They told me that they have to take it slow to get the shave they want. This is an area I believe Viking Blade can improve this razor. Parker 99R has a chrome plated brass frame that makes it a long-lasting safety razor. I know some men who have been using their chrome plated razors for many years. The Butterfly Open (or Twist-to-Open) design makes it easy to replace the blade. Easy blade replacement is an important feature to look for in a butterfly safety razor. The razor comes with five premium blades. Another cool thing I like about this razor is that the handle is long. The length of the handle is 4 inches. With a long handle like this, you can grip the razor with wet hands. The weight is kind of cool at 3.4 ounces. It’s hard to find a razor that works like Parker 99R. 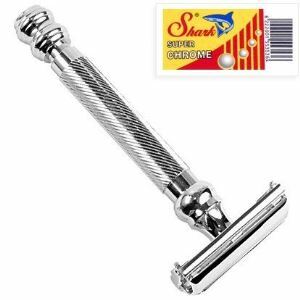 A lot of competing brands tried to duplicate the exact feel of the razor, but they were never successful. The Parker brand has existed for almost 50 years. The reason why I like the brand so much is that they make some of the best razors. Parker 99R is one of my favorites from the company. The razor has an amazing butterfly open that will make you want to shave with it immediately after changing the blade. Parker 99R is a heavy blade. It can cut through the toughest beards with ease. It also gives a comfortable shave. It’s super simple and easy to change blades with this razor. Simply twist the knob on the bottom of the razor to open the butterfly doors. Drop a new blade and close it. Parker 99R is easy to use. It doesn’t matter if you’ve been using electric or cheap razors before, you can use Parker 99R with ease without getting a nick. There’s nothing like over-tightening with this razor. It holds throughout the shave. You can always rely on it if you’re just getting started. 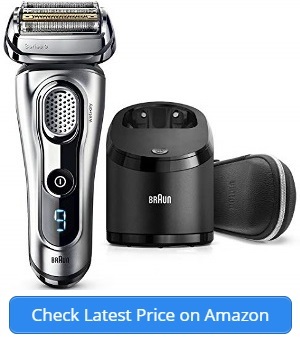 I noticed a lot of shavers compare Parker 99R with Gillette Mach3. I’ve used both razors, and I can confidently say that Parker 99R is much sharper and gives you a better and more comfortable shave. Parker also has another safety razor called Parker 66R. I found that people tend to compare both razors. I’ve used Parker 66R. Both are durable and good. But Parker 99R gives you a better shave. The razor doesn’t rust because it’s made of brass with chrome finish. However, that’s not to say that you shouldn’t maintain the razor. Make sure you clean and dry it after use. One common issue some customers reported is that Parker 99R isn’t for their skin. The razor can be harsh on some skin types. With Bigfoot Shaves Butterfly Safety Razor is one of those razors people tend to overlook. I was surprised by the quality of shave I got with this safety razor. I felt so comfortable during the two weeks period I used it. My hair grows very fast and using the razor was so easy. I didn’t have nicks, cuts and razor bumps while using it. The razor is heavy. The weight makes shaving easy and comfortable because you need little pressure to get a clean shave. This butterfly safety razor from Bigfoot Shaves is one of the best. Its design is unique and cool. The razor is built with high-quality steel that makes it strong. I managed to drop it a couple of times, and it didn’t break. The grip is also cool. It gives me the control I want to get my perfect shave. 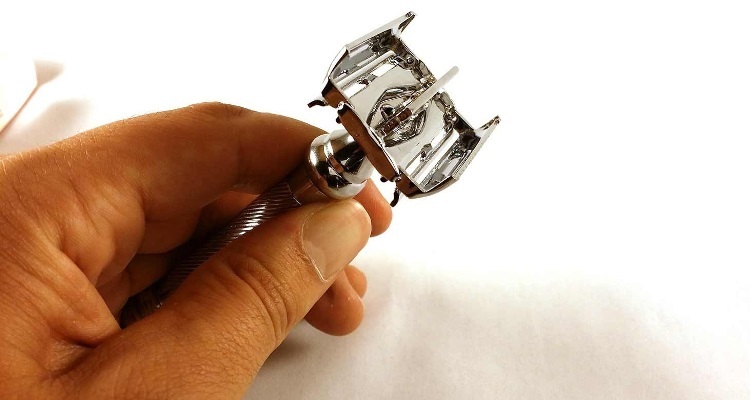 This butterfly safety razor comes with a rugged carry case with a mirror inside of it. So, if you travel a lot, this is a shaving razor you can take along with you. The razor looks more similar to the more expensive Chieftain Safety Razor from Vikings Blade and gives you a closer experience. The major difference being that the Chieftain is heavier. The razor comes with 10 blades, though you only need one in the razor. The length of the razor is 3.5 inches, which is nice to handle. Make sure the hair or beard is soft before you shave with this razor. That’s when it gives you the perfect shave you want. It’s very important that you keep this in mind. The area you want to shave should be well wet. It’s also important that you don’t shave against the grain (beard or head). People who are new to safety razors may find it a bit hard to use this razor the first time they try. My advice is to take it slow until you get used to the razor. It takes about 3 – 4 shaves to know how to use a safety razor well. The safety barrier will prevent you from cutting yourself if you’re a first-time user. The safety keeps the blade from making contact with the skin. It acts as a comb to form hair before the skin reaches the blade. I like this safety razor a lot, but like most razors out there today, it’s not perfect. That’s not to say that it’s not good. It’s very good, and I rate it highly. But the twist cap at the bottom collects water. WEISHI is one of my favorite butterfly safety razors. The razor comes with five blades with instructions on how to use the razor. Its weight is one of the reasons why I so much like it. A little pressure is enough to help you get a comfortable shave. The razor does most of the work for you. It’s important you shave with the grain of your beard. Some people don’t do that. Some razors aren’t nice on your skin when you shave against the grain, and they can also be cool and give you a perfect shave when you shave with the grain. WEISHI is one of those razors. 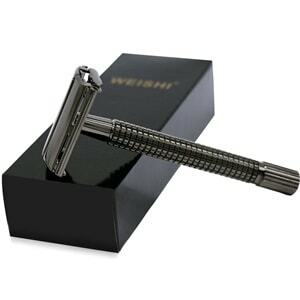 WEISHI is a beautiful safety razor. It attracts your attention to shaving. With WEISHI, you can quickly replace the blades. It doesn’t take time at all. The butterfly open makes this easy. The razor stays close while you shave. So, you can trust it to do a nice job of giving you a close shave as long as you use high-quality blades. Don’t buy cheap and poor blades with WEISHI and expect not to get cuts. As you may have noticed from its name, WEISHI is designed and made in China. There’s nothing wrong with the razor being assembled in China. The truth is most products these days are made in China. WEISHI is one of the highly-rated safety razors online. It enjoys an average star rating of 4.4 out of 5, which I think is excellent. WEISHI is chrome plated, so it should last longer. The razor isn’t aggressive at all, which is cool. However, if you’re a beginner, I’ll advise you to take it slow when using it. 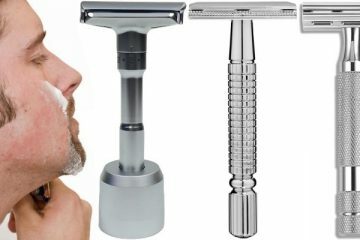 While the safety razor is cool, it’s not the best option for beginners. It can be a little bit hard to get used to WEISHI. You’ll have no problem with the razor if you’ve had experiences with safety razors before. Contained in the starter set are a butterfly shaver, thirty double edge razor blades and a travel case. Dorco is made with the finest stainless steel. The blades alone are premium and high-quality. You can use them with any double edge shaver handles. They are also great for any skin and beard type. The handle’s length is 3 1/8 inches, which I believe is optimum. The razor is chrome plated. That makes it durable. The case of the shaver has a mirror in it. Without a mirror in the case, the starter set wouldn’t be complete. You can leave the razor in the case after use. That’s what I usually do. It helps me in maintaining the razor, so I can use it for a long time. After using Dorco, I’m 95% sure that you’ll never want to go back to disposables or cartridges. Dorco is a great butterfly safety razor that will give you a clean shave, and it’s cheap. 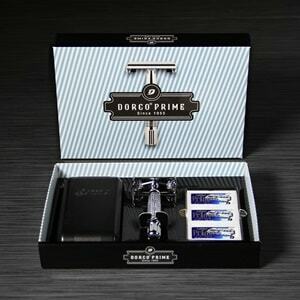 Once you get used to using a safety razor like Dorco, you won’t want to stop using the razor. The starter set itself comes with 30 Dorco’s double edge blades. That doesn’t mean you can’t use any blade with the razor. Any double edge razor will fit into it. Dorco is a strong and long-lasting razor. It doesn’t rust. Apart from the cleaner shave you get from Dorco, safety razors eliminate plastic waste from your lifestyle for the good of the environment. 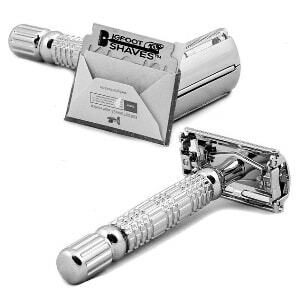 With disposable razors, it means you’ll be changing shavers frequently. You can save yourself some bucks and stress from buying disposables. Safety razors are easy to use. 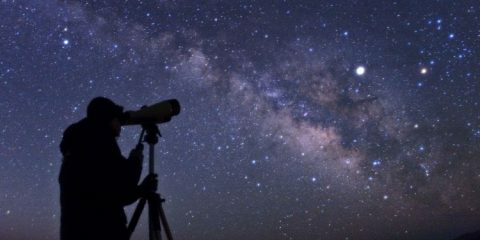 Start today, and you’ll become an expert within a week. I really like the complete kit. It contains everything you need to start getting a clean shave from the razor. Dorco safety razors are much better than any cartridge razor available today. Before you use the razor, ensure that the blade is well tightened down. The razor can be unforgiven when it’s not tightened. So, don’t make that mistake. It’s not hard for anyone who’s used safety razors to get a clean and smooth shave with the razor. You won’t have bumps, irritation and ingrown hairs as long as you know how to use safety razors. A safety razor like Dorco makes cartridge razors overly expensive and useless. This razor delivers a better shave when you compare both. 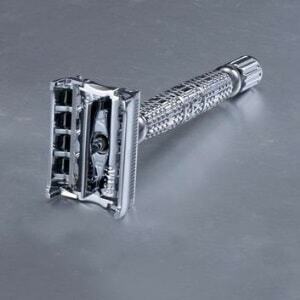 Buying Dorco safety razor will save you lots of money buying disposable razors. The razor also delivers faster shave that’s very comfortable. If you’d never used a double edge safety razor before, Dorco is one of the best butterfly safety razors to start with. The razor is affordable and offers you a cleaner shave. While the razor and blades are good, I’ve heard some complaints about the travel case that comes with the set. The case needs some improvements. It’ll nice for Dorco to do that. Cartridge razors are the closest to butterfly safety razors. But butterfly safety razors are way better because they are designed to protect you from cuts and nicks. With a butterfly safety razor, all you have to do is change the blade. With cartridge razors, you’ll have to buy new heads with 3-5 blades in each of them. Safety razors are for people who are willing to invest some money up front for a superior shave quality and save over $1,000 over 5 years. Cartridge razors are more for people who want to shave the quick and dirty way and save less. To be honest, I don’t see the reason why anyone should choose cartridge razors. They are just a waste of money. A safety razor will give you a superior shave even though it’s a cheaper option. Safety razors are less likely to cause skin irritation like cartridge razors. The main reason why people tend to choose cartridge razors over safety razors is that they are easy to use. Safety razors have a slightly higher learning curve. I don’t think that’s a good excuse for anyone. Anyone can become a master safety razor user after a few shaves. Here’s a summary of the differences between safety razors and cartridge razors. There are some factors to consider before deciding if a particular razor or brand is for you. What are these factors? There are two types of razors: the one that has two edges for shaving and the one that has one. I’m a big fan of double edge razors. They are more popular. I’ve met some people who told me that they prefer single edge safety razors. They say that they don’t believe in multiple edges just as they don’t accept multiple blades. Some people’s shaving style is suitable for single edge safety razor than double edge. You should know which one is good for you before you buy. Double edge safety razors are being advertised everywhere. It’s because they are so good. If your beard is thick, you may have to choose a double edge safety razor. Beard thickness refers to the number of hairs per inch. More hair means thicker. I use double edge safety razors, and they’re good. They work incredibly well. A safety razor that’s adjustable is suitable for all skin types. You can easily adjust it a bit to suit your skin type. You can keep adjusting it until it’s better for your skin. The above safety razors I reviewed above are adjustable. You’re less likely to suffer from cuts, nicks, and irritations when you use an adjustable safety razor. The handle is the most important part of the razor. If the handle is bad, then every other aspect of the razor becomes meaningless. A great handle means you can hold it tight with wet hands. Check the handle’s length. Do you think it’s too long for you? If it is there are some other razors with good length you can check out. The razors I’ve taken my time to review on this page all have varying lengths. You can check them out to see which length is good for you. For me, I consider anything between 3.2 – 4 .3 inches a good handle. Today most razors are made from a variation of steel. Each manufacturer has a specific steel compound they use. I like steel. Steel is a mixture of iron and carbon. A safety razor made from steel is stronger and tend to last longer. The safety razors I listed above are made with the finest steel you can get from a safety razor. The materials used are nothing to be worried about because they are high-quality. I won’t say weight is super important, but it’s a factor you should look out for depending on your needs. 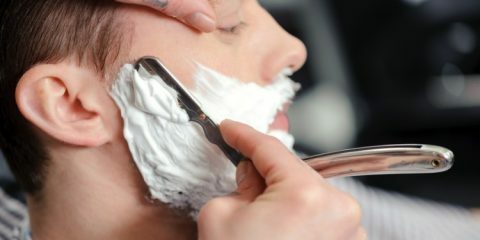 But one thing I noticed in most people when they shave is that they like to use no pressure and want their razor to do most of the work for them. You may call this laziness, but it’s not really it. Talking about me, I like my razor to be heavy. Most of the razors above are quite heavy, which isn’t bad. The weight isn’t a problem. It’s good for the weight to be heavy. Usually, a bad material will lead to the razor becoming rusty too quickly. Again, I’ll like to say that the above safety razors don’t rust. Some customers have been using their razors for years, and they don’t feel the need to replace them. In this review, I’ve taken my time to explain to you my findings from embarking on long research to find the best butterfly safety razors. The five razors listed above are very effective, and they give a clean shave. Click one of the links to the razors listed above and buy right now. Don’t miss out on an amazing opportunity to get yours today.